Today is International Women’s Day and we’re also only a few weeks away from World Parkinson’s Day, which is when the #UniteForParkinsons campaign hopes to hit new heights. Tell us about the campaign and how the EPDA is getting involved. We have been working very hard for the past few months generating support and interest from all of our global network. Our aim is for Parkinson’s organisations and supporters around the world to be inspired to come together on a bigger scale than ever to show what Parkinson’s truly is. At the EPDA, we believe this will only actually happen if we start working together as an international community in a real and tangible way. That’s what World Parkinson’s Day is all about and that’s why we created the #UniteForParkinsons campaign with Parkinson’s UK last year. So, can you tell us about your role at the EPDA and describe your typical day as a board member? I am very interested in research, so on a typical day I begin by answering email questions relating to Parkinson’s studies and research. I have telephone conference meetings with pharmaceutical companies and I’m in contact with Parkinson’s professionals throughout Europe. 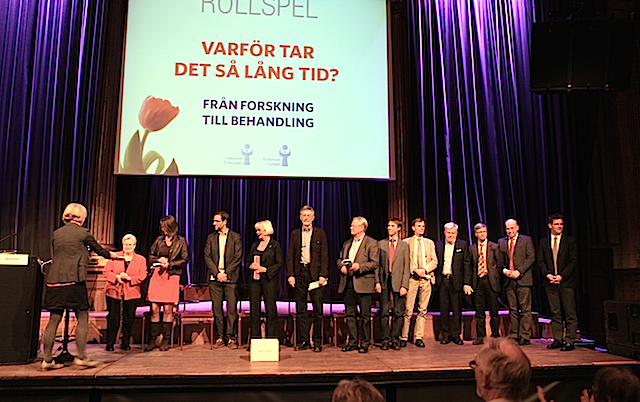 I also do some writing for the Swedish Parkinson’s magazine. What changes to Parkinson’s diagnosis and treatment have you seen during your time working within the sector? If we look at the diagnosis process, nowadays there are studies ongoing in biomarkers providing early diagnosis including imaging techniques, cerebral spinal fluid analysis and changes in the retina in the eyes. In terms of treatment, I am very happy that clinicians recognise that a lot of younger people can have Parkinson’s. I am also glad that non-motor symptoms such as anxiety, depression and physical pain are also a recognised part of the disease. We now have a wide range of drugs and treatments such as oral drugs, deep brain stimulation, medication patches and intestinal gels for continuous intestinal administration, and neurologists have begun to see the importance of exercise in slowing the progression of the disease. What are your hopes for Parkinson’s treatments in the next few years? And in the long term? I’d like more studies to be carried out that focus on gender in Parkinson’s disease and the differences regarding progression of the condition. The gender-specific approach is very important and it’s necessary to pay special attention to the predictors that cause poor health and poor quality of life. At present, we don’t have a general understanding of the differences. In many Parkinson’s studies, there aren’t any women included in the data. I think we need many more women participating so that we can learn how the progression of the disease in women compares with that in men. We will then also learn how Parkinson’s medications affect women’s and men’s bodies differently. What are you most excited about in terms of Parkinson’s developments: will we see a cure in your lifetime? My hopes regarding treatments in the next five years are that we will find ways to detect the condition in its very early stages. At the same time, we need neuroprotective drugs. A combination of these two factors would be great. What is your personal connection to Parkinson’s disease? My mother had Parkinson’s, and my father was a doctor who took care of my mother for several years. Then gradually I got more and more involved in her care and treatment. Another close family member who had Parkinson’s for several years suffered from hallucinations. He was living alone and did not dare to go into the bedroom to change clothes and go to bed in the evening, because he thought he was seeing people in there listening to him. This went on for a long time before we realised what was happening. When we finally found out, we took him to the neurologist to change his medication. Everything became much better for him after that. Is there an experience you’ve had with Parkinson’s, either personally or professionally, that has given you hope? Yes, for me research gives me hope. Because if you are looking at the exponential increase in the amount of research being carried out, all the ongoing studies and publications, for me it says that it has to result in a major breakthrough. When I see healthcare professionals and people with Parkinson’s share positive experiences and good models of care that improve quality of life – which is of vital importance – this also gives me hope. What do you hope the campaign will achieve this year and in the future? We really need the international Parkinson’s community – and by that I mean individuals, families, charities, healthcare professionals, decision makers and commercial companies from all over the world – supporting #UniteForParkinsons and getting involved. Last year it was a hashtag, this year it’s the hashtag and videos. Next year, who knows? What I do know is that from an EPDA perspective, we can’t make change happen on our own. But if we work together, then in theory anything is possible. And that’s what the #UniteForParkinsons campaign is all about. 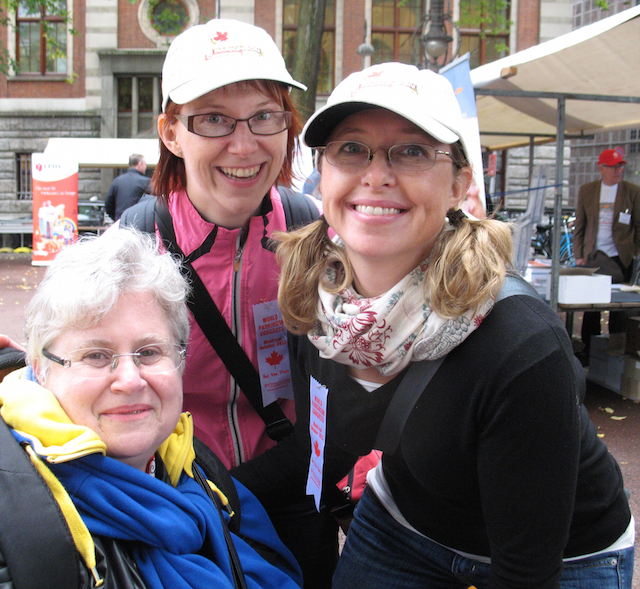 Susanna has been the vice-president of the European Parkinson’s Disease Association (EPDA) since 2005. She was born in Romania but has lived in Sweden since 1962, where she gained a BSc in organic chemistry from the University of Stockholm. 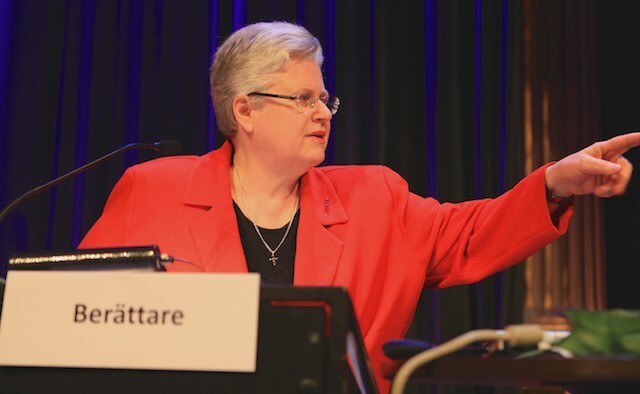 From 1996 to 2002 she was president of ParkinsonFörbundet, the Swedish Parkinson’s Disease Association (SPA). She worked for many years as an information specialist at dairy company Arla Foods until her retirement in 2010. The EPDA and Parkinson’s UK are running the #UniteForParkinsons campaign to coincide with World Parkinson’s Day on 11 April. Get involved on the day by making your own Parkinson’s video and sharing it on social media using the hashtag. For more information, visit the website. Campaign toolkits are available to download in English, French, German, Italian, Spanish and Welsh. A Dutch version will also soon be available.